Taking advantage of its speed around the World and, as happens with the GSX-R1000, the Japanese manufacturer has introduced a new “decoration MotoGP” for its two Supersport models, which are now available at dealerships. 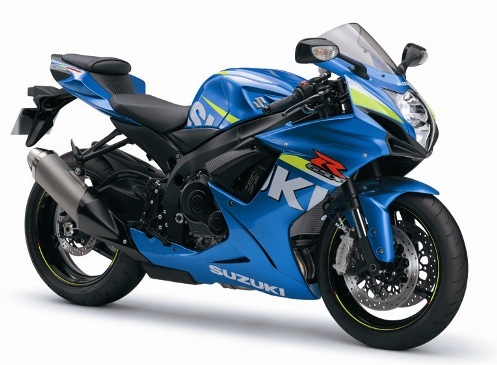 Suzuki’s bid for 2015 will be very ambitious, especially since a few months ago announced its return to the world motorcycling, after four years of absence. From Hammamatsu want to convey the enthusiasm and commitment of the entire factory to customers, and more particularly to fans of its two Supersport machines, The GSX -R600 and GSX-R750. For this reason, Suzuki wants to give his customers with two new versions of these models. Mechanically the same characteristics of power and agility, but the differential element is on aesthetics, since both frames can be purchased from right now with colors that will look the Japanese manufacturer from next year. A unique opportunity for users of these bikes can get this new race-inspired version. With this maneuver, Suzuki wants to show his fans the desire to have put into his long-awaited return, and the trust placed in its new draft MotoGP, where they hope to perform at a high level. Besides blue, the GSX-R600 also be available in white, while the GSX-R750 will be in red and black versions.